Bushnell are a market leader in laser and optic products. Headquartered in Thomasville, Georgia, Bushnell have forged an enormous lead at the top of the Tour usage figures. More Tour players and their caddies use Bushnell products each week on Worldwide Professional Tours than any other brand. At Scottsdale, we are delighted to be stockists of the latest Bushnell products. The range has grown over the years from the ever-popular handheld laser rangefinders to include the modern wearable technology GPS watches that are taking golf by storm. Added to this, tiny handheld GPS solutions are so popular now and Bushnell is right at the forefront of these designs. Bushnell Golf Rangefinders are endorsed by PGA Tour star Rickie Fowler. 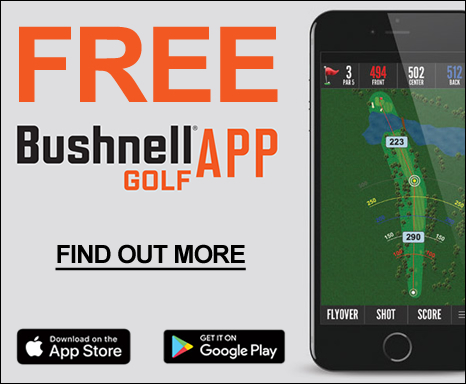 If the best players in the world trust Bushnell to improve their golf, shouldn't you?! Check out the full range online today.